The Kensington Palace is open to the public daily from 10 am to 6 pm from March to October. From November to February, the palace closes at 4pm. You can visit the Kensington Palace regardless of the time of the day, but the beginning of the day is a better option because the attraction will be less crowded. We are comparing Kensington Palace Sigthseeing Tickets Prices from leading ticket suppliers and Try to find you Cheap tickets prices on the market. The Kensington Palace used to be the favourite residence of many of Great Britain former Kings and Queens so there’s plenty of history to be found inside. When visiting the Kensington Palace, one can examine how everyday lives of these royals looked like and what things were dear to them. Among other sights, you can take a closer look into the lives of beloved sovereigns such as Queen Victoria and Princess Diana. During your palace you’re your expert guide will reveal some of the sad secrets of the Stuart dynasty. The Kensington Palace has opulent premises and many pristine artworks. You will also see the King's State Apartments, the Grand Staircase and the King's Gallery. This centuries old palace has magnificent gardens to visit too. If the lives of the British royals, both past and present, interest you, then you will certainly enjoy a visit to the Kensington Palace. Your Experience With Kensington Palace Sigthseeing Tickets? Get acquainted with the lives and luxuries of the former Monarchs of the United Kingdom. During your visit, you will discover a lot about the life of Lady Diana and how princess changed her style in different stages of her life. Jump back in time and learn the tragic secrets of the Stuarts. Learn about the life and reign of England’s beloved young Victoria. 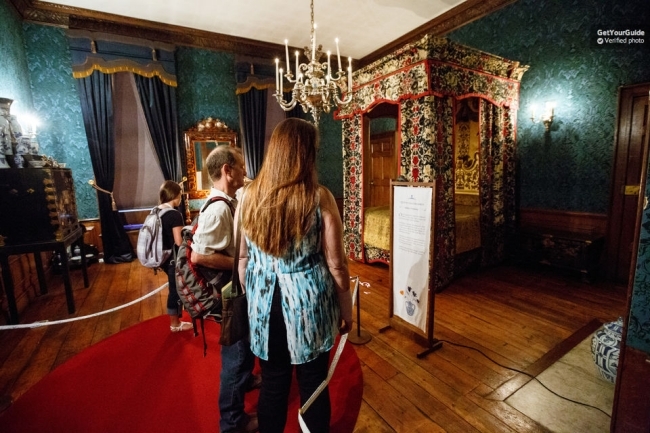 Examine the personal possessions in the Queen's collection and visit the same rooms in which she used to spend time. See a display of the former Queens finest dressed and understand how their styles influenced the fashion in England. Tour state apartments and witness their grandeur and opulence. Examine the Royal Collection that comprises priceless artworks and historical garments. Finally, take a stroll in the Kensington Palace Gardens. What Kensington Palace Sigthseeing Tickets Includes? Entrance ticket to the Kensington Palace and Gardens. Access to the Palace exhibits. Guided tour with an expert guide. The Kensington Palace and Gardens. There are many guides that would answer your questions in the palace so don’t fee shy to ask. Travelers Reviews about Kensington Palace Sigthseeing Tickets? Travelers that booked a visit via Get Your Guide rated the experience with the 4.6 rate (out of 5). Viator's clients assessed the experience with the average rate of 4. Visitors of the Kensington Palace seem satisfied the most with the exhibition about Princess Diana and the palace gardens. Also, they spoke commendably about the staff and exhibits. Address: Kensington Gardens, London W8 4PX address. You need to your paper voucher at the Kensington Palace's Admissions office to enter the property. Depending on your chosen ticket provider’s policy, you may be able to cancel your ticket for a full refund however a time restriction will apply. The last admission to the Palace of Kensington is one hour before the closing time. The admission for visitors under 16 years of age is free. The Kensington Palace is located on the Kensington Gardens, London W8 4PX address.